Men are so hard to shop for, especially when you’ve grown up in a house made up of mostly women. Before last year, I had no clue what to buy the men in my life, whether it was dad, cousins or a boyfriend, but now I have wonderful stepbrothers who have given me a better idea into what men really want. Here are some of this year’s finds for the Texas guy. 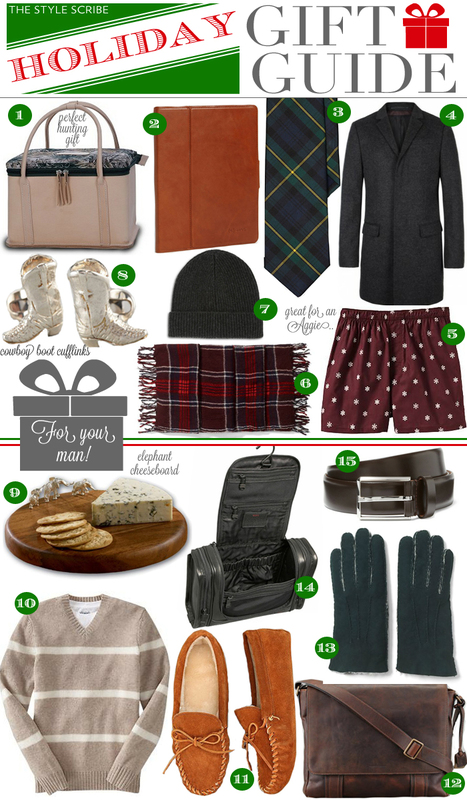 For more men’s gift ideas, be sure to check out my new Pinterest board, Pour Les Hommes!